The module has been designed specifically for the relay model FS2-2A-124D from HI-G, Italy. 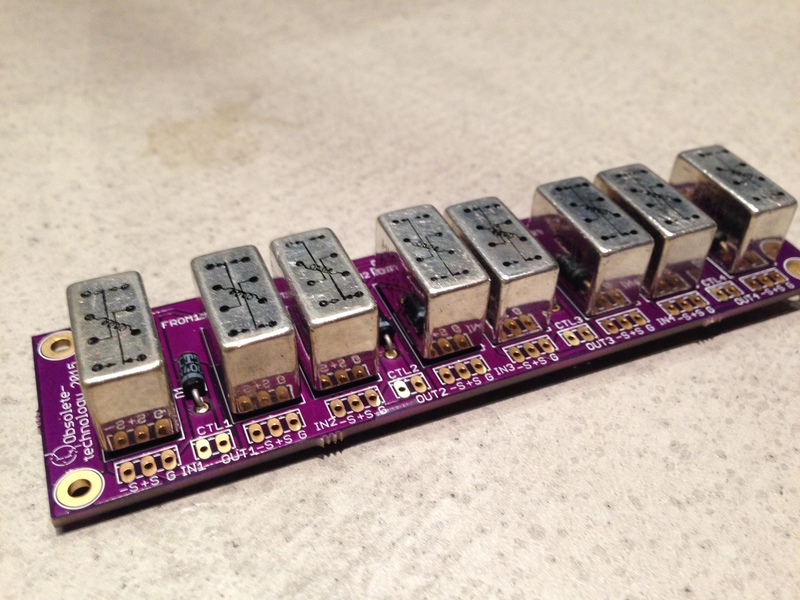 It happenend that I had quite a pair of these relays in my workshop and I wanted to use them. This relay has a different pin layout as standard audio relays so consider this if you like to use these schematics for your own design. 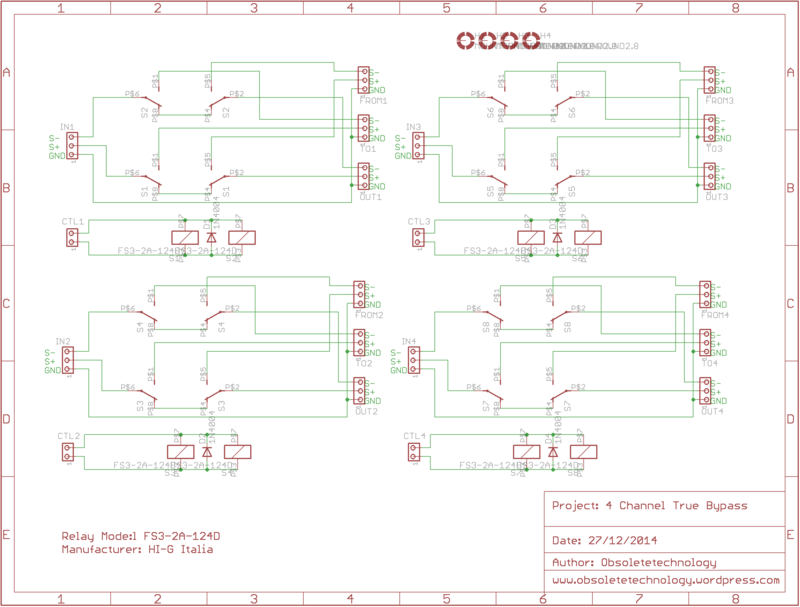 Anyway, the schematic is simple, so you can adapt the layout for any audio relay. As in any bypass module. there is a signal input path, a signal output path and a send and return path. In bypass mode (dry), the relay connects the output directly to the input. In effect mode (wet) the signal is routed from the input to the send output, goes through the perepherial device (effect processor etc.) and is channeled back to the return input where it then ends up on the output of the bypass module. There is a flyback diode forseen for each relay in order to absorb the inducted current from the coil when the relay is shut off. As a switch a normal miniature SPDT switch can be used. The operation voltage is depending of the type of relays being used, in this case it is 24V. The circuit board has been designed as a two layer board in order to save up space. I had it manufactured by OSH park and it turned out quite nicely. Download project files 4Ch true bypass project files download.